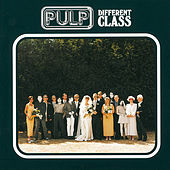 Although not a contender for "British Band of the Millennium" -- let Oasis and Blur argue over that mantle -- Pulp is easily one of the most diverse and dedicated bands on that side of the pond to (struggle to) make it big. 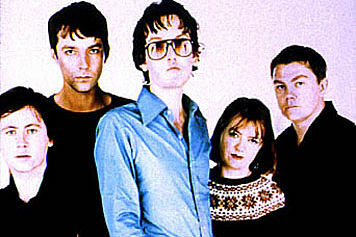 Led by charismatic and chameleon-like Singer-Songwriter Jarvis Cocker, Pulp have undergone multifarious changes in their twenty-one-year career, but there have been some consistent points along the way. 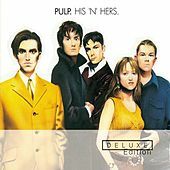 On any given album, you'll find Cocker singing in his lovely, Bowie-based baritone behind which a piano, synths, and mid-tempo bass, guitars and drums create a pretty, sad and subtle ballad. 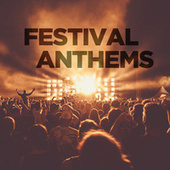 It's hardly indicative of all their material, though -- on the song "Countdown," for instance, electronic drums and synths create Alt-Dance music that aligns the band more with Depeche Mode than with other rock groups. 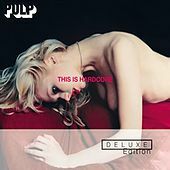 And then there are the finely-crafted, well-written Glam rockers: no holds are barred, and every instrument plus the kitchen sink writhes in wonderful musical bombast, almost an anthem with strong hooks and melodies and Cocker's voice rising and falling, emoting and sneering, ironic and vulnerable, leading the fray to pop heaven. 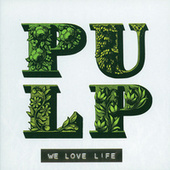 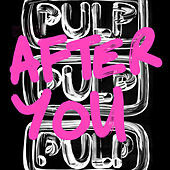 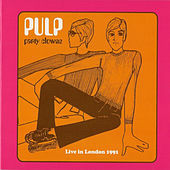 Pulp may not be challenging Oasis for the Brit God throne; truth is, they don't need to.